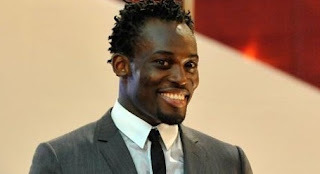 Michael Essien has handed under-pressure Chelsea manager Andre Villas-Boas some good news after returning to light training. The Ghana international, who has been missing so far this season with an anterior cruciate ligament injury, has also started ball work again. The 28-year-old participated in various passing and dribbling drills on Friday under the watchful eye of Chelsea’s backroom team. Essien also took part in different sprint exercises at the club’s Cobham training ground, a clear sign he is well advanced on his road to recovery after summer surgery. The midfielder will continue with his carefully constructed rehabilitation regime before returning to full training towards the end of December.